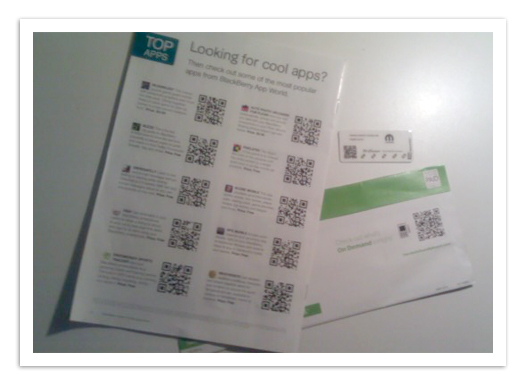 More and more QR Codes are showing up. I have seen QR Code technology – on magazine advertisements, real estate signs, direct mail envelopes and postcards, brochures, t-shirts, business cards, restaurant table tents and window decals – just about everywhere so it seems. Today I even picked up a free key tag from a Dodge Dealership with the QR Code. If you're clueless about what a QR Code is or how you can use the QR Code technology to beef-up you brand exposure, this may be your lucky day. 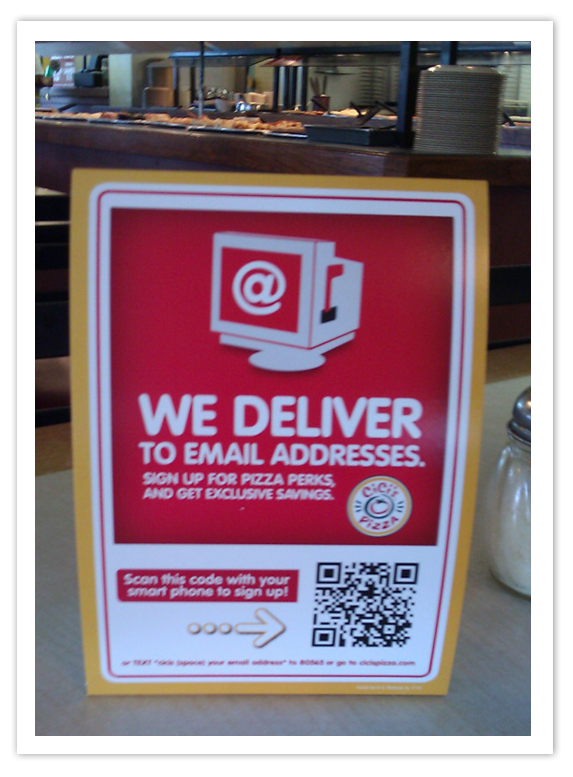 The QR Code, short for "Quick Response" is a square image that can be printed on your marketing collateral. The image is not something you read with your eyes, but it is readable like a barcode that your smartphone can read. If you've been to Japan, this comes as no surprise - it's been used there for a long time and just now starting to make its way into mainstream marketing in the USA. 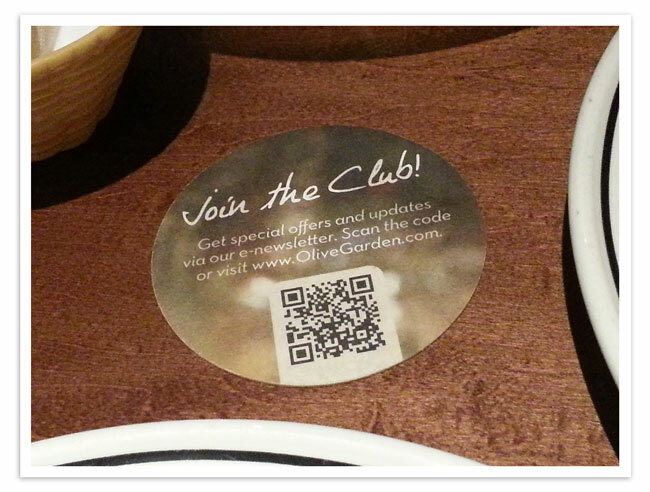 Get special offers at Olive Garden when you scan the QR code on the beverage coaster. Smartphone use rises daily in the mobile market, popular brands are starting to take advantage of a better marketing mixture. According to Nielsen Wire, low-tech material (mailers, newspapers, printed material in-store) still has the most popular consumer reach – Adding QR Codes connects low-tech with the latest technology. Consumers are now learning that they can download a free QR Code Reader app on Android or iPhone that will scan the QR Code to uncover special messages, discounts, websites, telephone numbers, social media links, events dates, email messages, contact details, and much more. Add this to the smartphone web browser and you've just added a unique voice to your brand message. 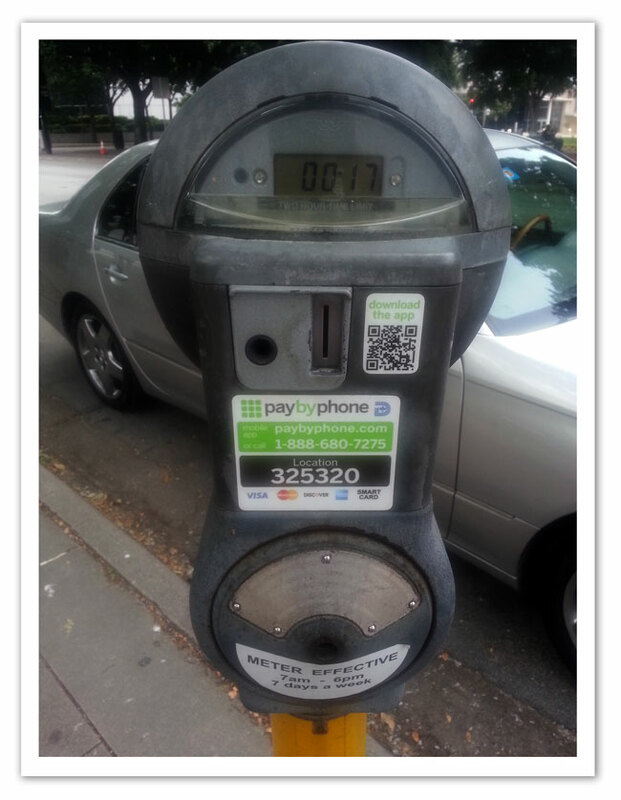 So where can you get your QR Code? Search Google for "QR Code Generator" and you'll have your share of websites that allow you to create you own QR Code in about 5 minutes. 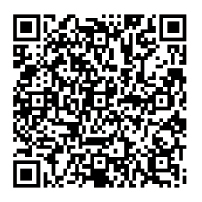 I like QR Stuff, a Free Online QR Code Creator and Encoder for T-Shirts, Business Cards and Stickers. I've added a few pictures I've captured from various businesses using this new bar code technology.